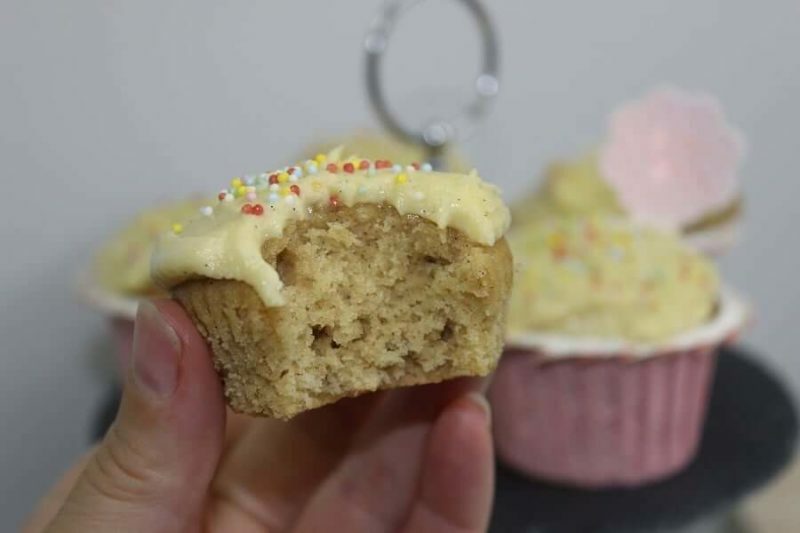 Vanilla cupcakes are so easy to make, they are perfect for birthday parties, school lunches, a special afternoon tea or anything where you might want a yummy treat. They freeze really well, iced and all (excuse the messy icing, it was done by my 4 year old). Mix all ingredients until combined – approx 10sec/speed 4. Scrape down sides and mix rest with your spatula if need be. This is my go to recipe for birthdays, especially for cake to take to school. So easy & tasty! These vanilla cupcakes have become a favourite recipe of mine. I have also used the recipe to make into a cake and it turned out perfectly. The flavour is just so good, and texture is light and fluffy – a must to make! They taste yum!!! Just wondering what icing recipe you use to put on the muffins that’s ok to freeze? My sons 2nd birthday is Wednesday so I’m trying to get ahead rather than do this mid week.